This template has three 80s styled intro animations - great for displaying titles or your company name and logo as a video opener. Watch the Demo Video for 80s Intros. 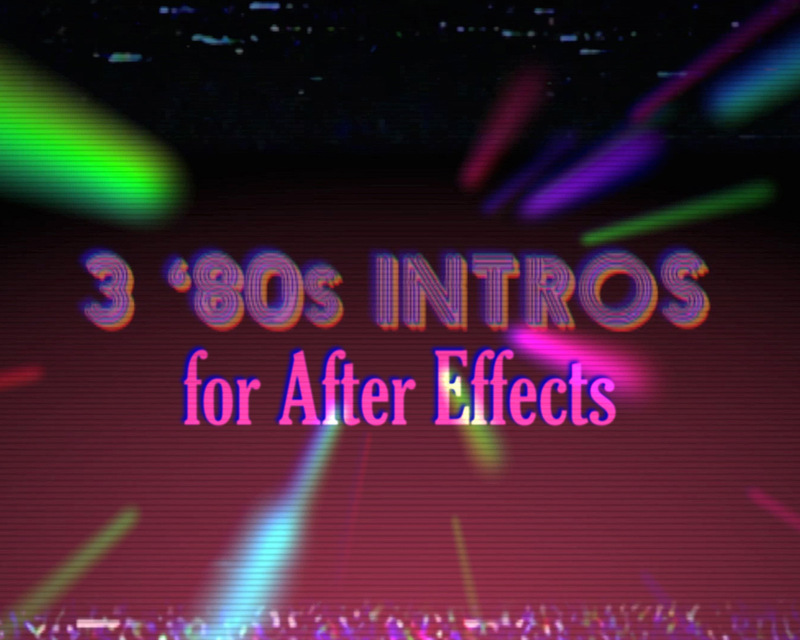 This 80s Intros template has three 80s-style animations that you can insert your own text or logo into. Included is 80s-sounding music and 14 optional and customizable effects for making your animation look and sound like an old, damaged VHS tape. Nothing is prerendered, so everything can be customized. The VHS effects can be used on any footage to create an old VHS look, and can be customized with easy-to-use slider controls. These effects are taken from my “Creation VHS Effects” template, found here. Each text element in this comp has its own separate comp, where you can edit the text, or add an image. Three original songs are included and come in two versions: a clean un-affected version, and a dirty version with EQ and pitch wobble to emulate the sound of an old VHS tape. Likewise, you’ll find a clean version, and a dirty version with VHS glitches, for each animation. The fonts used in the preview are not included, but are identified in the instructions and can be downloaded for free online. Comps are in full HD 1920x1080. No plugins are required. This template is compatible with After Effects, version CS3 and all later versions. For more high-quality custom effects for video, visit CreationEffects.com.